Any person who refers a family member or friend to CORE must be in our database of participants in order to be compensated. You will receive a $10 gift card for recommending someone, only after that individual has completed a study. A new study participant may only be recommended by one person. You can refer as many participants as you’d like. Participants need to tell us when they’ve been referred by you! 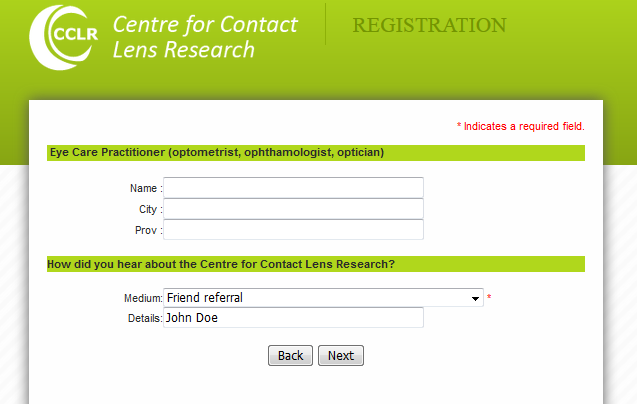 When they create their profile, please remind them to select Friend referral and include your name in the details box when they come to the question about how they heard about CORE (example below).